Natural wellness and inner balance is something that most people want. Likewise, peace is an experience that many people wish for and seek. We all seem to need more of this fleeting ideal and emotional concept, but we cannot quite grasp its inner core. We want peace with our children, we want peace at work, and we yearn to savor the sweet essence of its presence. How can we become more full of this thing called peace? Our minds wander from moment to moment about things that need to be done to things that have already passed. Then, somewhere in the middle, we get a small glimpse of the present moment we are currently in. We then quickly move our minds back to the incessant flow of thoughts with hopes of feeling peace at a later time. 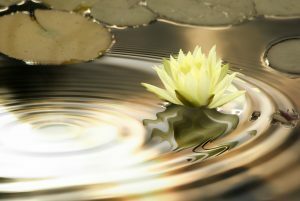 Interestingly, peace is not something to hold on to but rather, it is a state of being, or a practice. It is a way with which we move inside our inner world and the ever-changing world around us. It is a conscious choice that we make everyday. Peace is a truly magnetic force. Have you ever been in the presence of someone that emanated peace? From the words that trickled off of their tongue to the smile in their eyes, they embody the essence of what it means to practice peace. Think of how you feel when someone is practicing peace with you. Picture how it feels — do you catch the feeling of peace entering your presence and can you see how you automatically mimic the energy flow back towards them? Peace is shared like the reflective properties of a mirror. I think we all are born with qualities of being peaceful. Some of us are taught the qualities of peace and some of us struggle to calm our energy down to allow ourselves to introduce peace in our lives. Peace is a balance between our spikes of emotional reactions and the dips in emotional turmoil. It is our natural state of being in the world. One of the easiest ways to practice peace is through our breath. To breathe in a deep distinctive manner with awareness can quickly shift our behavior in any circumstance. When we focus our attention to our breath and consciously perform the act of breathing, we let go of the mental thoughts that are creating our experience. Even though it is just for a short time, it is long enough to lessen the emotional reactions we may be experiencing. Focusing on our breathing brings us back to the present moment and gifts us a glimpse of how to be peaceful in any situation. The key to breathing in peace is simple, take a nice slow, deep breath to fill your belly with air and then exhale with a slow and steady focus. You may need to do this a few times if the situation is extremely intrusive and peace is not even an option. It will work, so give peace a try. Especially when it feels really hard to do, those are the moments when we are given a chance to practice being peaceful.